I like this new and easy method of baking pound cakes by Joanne Chang of Flour Bakery, Boston. First, the eggs and sugar are whipped together until the mixture is feather light. Then, just fold-in the rest of the ingredients and place it in your pre-heated oven. That's it! The result is a soft, buttery French Lemon-Poppy Pound Cake that's full of lemon flavor. This cake is a great tea-time treat. If there’s any leftover, just cover and store at room temperature for up to three days. However, I don’t foresee you will have any problems finishing this yummy cake. Try it! Center a rack in the oven and preheat the oven to 350˚F/180˚C. Butter a 9 x 5 inch loaf pan, or line the bottom and sides with parchment paper. To make the lemon glaze: While the cake is cooling, in a small bowl, whisk together the confectioners’ sugar and enough of the lemon juice to make an easily spreadable, smooth glaze. The pound cake looks lovely. I could eat a piece of that cake right now. Wow, this pound cake looks delicious! I love how the icing is dripping off of the cake and bowl. This is one of my all time favorite quick cakes! Love it! Yum, this sounds absolutely delicious...we have lemons on our tree and so I definitely need to make this!! I love Joanne Chang and Flour bakery! This looks incredible. That is such a great, simple method. Can't wait to try. I'm real curious to try a new technique for pound cake. Amazing pictures! 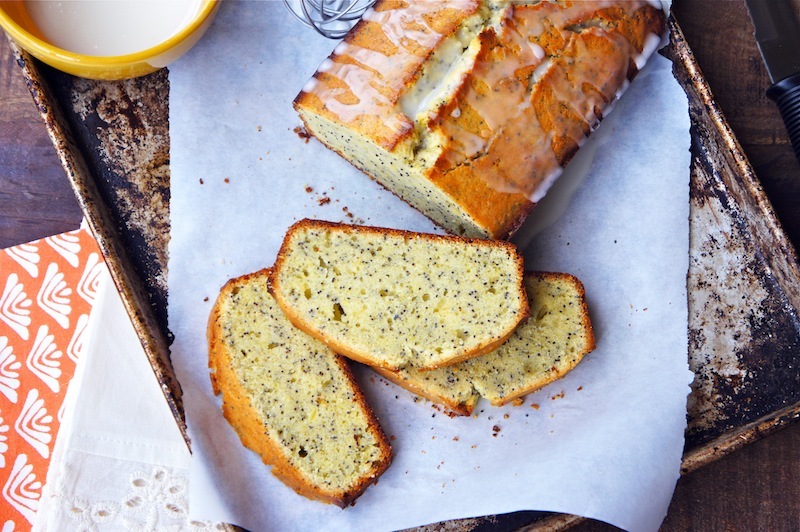 Your pound cake looks delicious and gorgeous thanks to your beautiful photos. I so love citrus cakes, I think they are my favourite, even more so than chocolate. This pound cake is nothing short of amazing, dense crumb yet light as airy cake. The lemon flavor is perfection, thank you so much for posting! 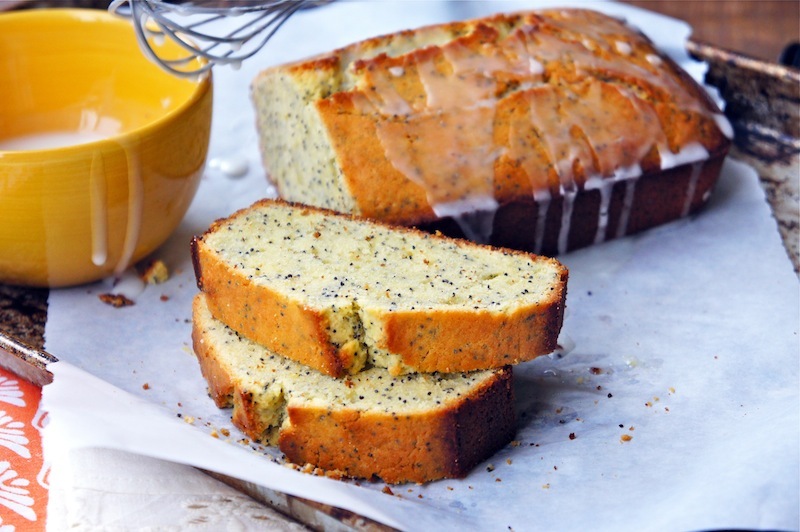 I love poppy seed and combined with lemon in a pound cake and you have a serious winner here! It goes great with a morning cup of coffee, or I have served as a dessert. It comes out great every time I make it!! I this is Half as good as joann Chang's banana bread, we have a winner!